FCC repack reimbursement NPRM open for comment. by Jay Mitchell • September 4, 2018 • Comments Off on FCC repack reimbursement NPRM open for comment. 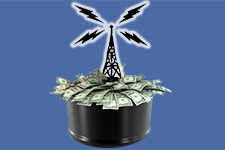 The proposal to reimburse certain radio and television stations for expenses incurred in the TV post-spectrum incentive option repack was published in the Federal Register on August 27, which opens it for comments. The comments are due by September 26, and replies are due by October 26. ← Don’t touch that dash.